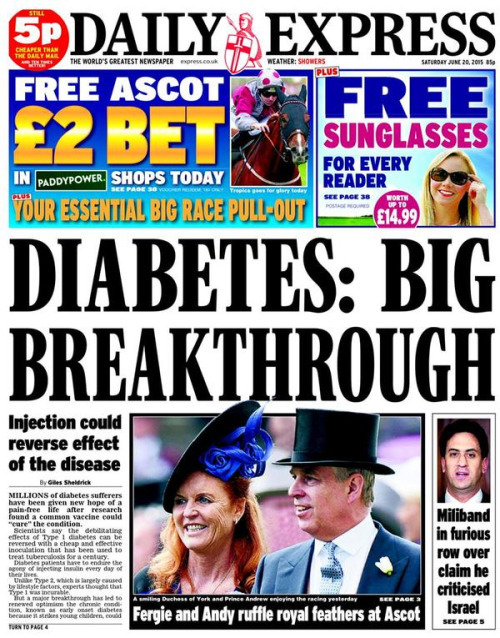 Thanks to front page stories on The Times and The Telegraph (surprisingly, given the output from the UK Government spending review the day before), it’s hard to have missed the news that researchers in California have managed to re-educate the immune system of 14 Type 1 Diabetics by using Regulatory T-Cells extracted from those participants, multiplying the volume of them by 1,500 times and then reintroducing them back. The headline details of the study in these 14 people with recently diagnosed T1D are that this stopped the continuation of T1D in its tracks and allowed them to continue without insulin. So, what’s different about this one? As Newspapers are notoriously poor at discussing the facts of stories like these, I concluded that downloading the research paper was probably the most efficacious mechanism for understanding what had really been done and what the implications are. Let’s take a look at the study in a bit more depth and understand what it means. First up, this is a Phase 1 trial. The trial population is 14 people. n=14 is a tiny number so we have to retain a level of reality here. It’s nowhere near enough to draw population wide conclusions from, but from an indications standpoint in the early stages of research, it’s okay. These fourteen people had an average age of 30.3 +/- 8.7 years, and crucially, the average amount of time they had been diagnosed was 39 +/- 26.4 weeks. The study extracted about a pint of blood from each participant and used fluorescence-activated cell sorting to identify the cell surface markers required to identify the appropriate T-cells to extract and replicate that would suppress the destructive T-cells. These were then reintroduced to the participants. The participants were split into four different cohorts who then received different sizes of infusion of the manufactured T-Cells. For the purposes of understanding this, Cohort 1 was given a dose of effectively 1, with 2 getting 8x cohort 1 dose, cohort 3 getting 70x and cohort 4 receiving 500x. Once this was completed, metabolic function was assessed using C-Peptide responses as an allegory for nsulin production. What of this assessment? Of the 14 participants, 7 had a decline of <10% in C-peptide production at one year, whilst 7 showed an increase. The lower dose group, for the most part, sat in the group with the smallest decline in C-peptide production. In cohorts 3 and 4, 6 of 8 subjects saw a decline of more than 50% over a 78 week period. One individual in cohort 4 saw an extreme decline over the first 13 week period. Importantly, the loss of C-peptide production in the small subject group following the infusion is in line with the expected decline observed in the natural history of diabetes. In other words, the study is so small that no significant conclusions can be drawn from it. Buried deep within the text on page 10 is the observation “we are unable to assess whether the improvement in the T-regs that we observed in vitro or the greater number of cells after AT will prevent progression of the autoimmune disease”. The key thing to be taken away, and the entire purpose of the study, was to prove that isolation, expansion and reinfusion of T-reg cells could be safely undertaken with a view to allowing a platform for additional future clinical trials in this area, relating to autoimmune diseases. For any preventative cure to be effective, a technique to mass separate out and mass produce the correct T-reg cells would also be required. 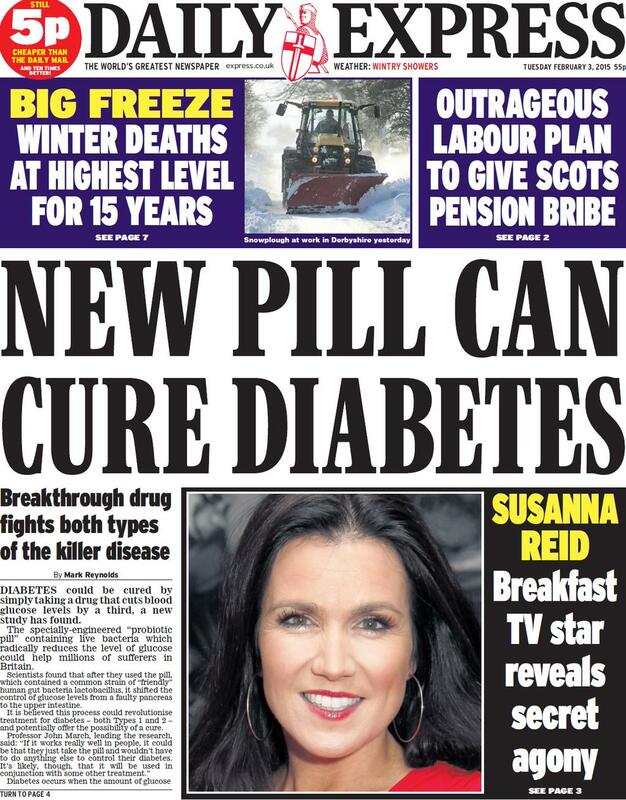 In summary, this isn’t a cure for T1D as the press have reported it. In many ways, it’s not even that exciting in regard to the response of the subjects involved in the study as the decline in C-Peptide, and therefore insulin production in a more than significant proportion of the participants was still in line with observed historic norms of diabetes. The smaller proportion (fewer than seven people remember) with a good response will, I’m sure, be looked at carefully ahead of any phase II trials. What it is is the start point for further trials and experimentation in an area that could in the future see a range of therapies, with genetic engineering involved to finally determine a prevention strategy and maybe even a cure. It also opens the pathway to Phase II trials in this area. Given the stage this is at and what remains to be done, even if follow-ups are successful, I wouldn’t expect to see any valid therapy from it inside the next ten years. 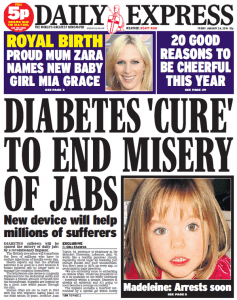 Footnote: After publishing this, I discovered the JDRF had also posted a “news behind the news” article.